The Dorsey (Na Dórsa) is a Bronze Age earthwork in South Armagh, an area well-known for its musicians such as the fiddler Josephine Keegan (also for many years Seán McGuire’s piano accompanist), singers like Tommy Makem and Patricia Flynn and a strong story-telling tradition maintained most notably by John Campbell. So, its mighty peculiar when a new band which features three members from the county (fiddler Paul Bradley, accordionist Martin Quinn and guitarist Paul Meehan) sounds as though it could have come from anywhere in Ireland in contrast, say, to Déanta who always seemed to be rooted in the North. Other members of the band hail from nearby Monaghan (uilleann piper Tiarnán Ó Duinchinn), Belfast (flute player Desy Adams) and Donegal (singer Margaret Cunningham). Track 5 kicks off with James Gannon’s barn dance, recorded by his fellow Sligo fiddler Michael Coleman and learned by Na Dórsa from a Donegal fiddler, Colmcille Ó Monacháin. So you might imagine that a band which draws its constituents from the Ulster province would not end up producing a rendition which sounds suspiciously like a Máirtín O’Connor-era De Dannan. In contrast, the first track’s opening set of jigs is redolent of mid-period Bothy Band. Similarly, though singer Margaret Cunningham (from John Doherty’s old stomping ground of Carrick) learned Heather on the Moor from the Kilkeel, Co. Down singer Róisín White (erroneously described in the sleevenotes as coming from Armagh) her version of this song simply sounds like a cross between Maighread Ní Dhomhnaill and Dervish’s Cathy Jordan. Unsurprisingly, she also pays homage to the former with Amhrán Pheadair Bhreathnaigh (the opening track on Maighread’s No Dowry album). However, she proves to be her own woman on the, naturally, unaccompanied Brid Bhán (a song from Teelin where, trivia-lovers will be gratified to know, Mairéad Ní Mhaonaigh and Dermot Byrne co-own the village pub). Elsewhere, Na Dórsa manage to emulate Calico on a composition by the Breton guitarist Gilles Le Bigot and Lúnasa on the slip jig The Whinny Hills of Leitrim, but then anyone playing a slip jig nowadays seems to sound like Lúnasa. None of this should be taken as a criticism of the musician’s abilities, far from it as Tiarnán Ó Duinchinn amply demonstrates on the piped slow air Táimse i Mo Chodladh or in a scintillating duet with Paul Bradley’s fiddle on a set of untitled reels penned by Josephine Keegan. It’s just that the album is a stylistic mishmash drawing from too many sources to offer coherency as a whole. Equally, like many other recent releases, a rapidly strummed guitar is far too prominent in the mix. Also, Na Dórsa suffer from the ‘two bands’ problem which also afflicts Solas, Dervish, Providence and even, to some extent Altan (as Another Sky demonstrated). So, you have the all-instrumental band and the band that accompanies Margaret’s songs and the two don’t always appear to be the same. Still, in its favour, this is a first album from a group of young and enthusiastic musicians and at least they have been listening to the right people. 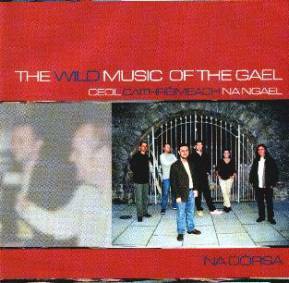 Sleevenotes are both brief and pertinent and include a marvellous description of the playing of fiddler Charlie O’Neill - “He played Casey’s Pig in the key of A and claimed that the grunt of the wild boar could be heard to echo through the ancient oaklands of the bottom string.” The album’s title comes from a question put to the Fermanagh fiddler Mick Hoy (some of whose exploits are recounted in Ciaran Carson’s Last Night’s Fun). This review by Geoff Wallis originally appeared on the Musical Traditions website www.mustrad.org.uk. This album is distributed in the UK by Copperplate – www.copperplatemailorder.com.